DRINK also aided the Zuellig Family Foundation (ZFF) with its 2013 Annual Report. 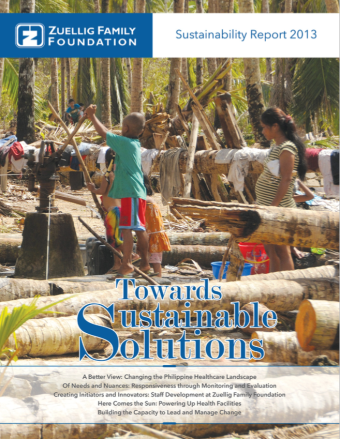 The report includes a feature on ZFF’s efforts to contribute to the rehabilitation of communities devastated by Typhoon Haiyan/Yolanda through its leadership program in partnership with the United Nations Population Fund (UNFPA). Also in the report is a breakdown of ZFF’s strategies for replicating its Health Change Model (HCM) in partnership with the Department of Health (DOH).